Is that a picture of some armor you’re drawing there, Sharena? Check it out, Commander! I’m designing my own suit of heavy armor! It looks like armored teams are really popular now, so I wanted to get in on the action! Let’s see now… Yes, I think I will make the helmet just like the Black Knight’s. Sorry, Sharena, but it takes more than a heavy suit of armor to make someone an armored type. And if you hide your face under a big old helmet like that, I think you’re going to give Alfonse a heart attack. Oh no, you’re right! I dread to think about the misunderstandings that might happen if Alfonse couldn’t tell the difference between me and the Black Knight. I guess I’ll just give up on this. 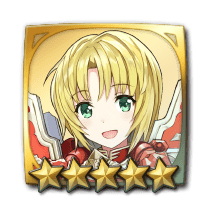 To get the most out of skills that only affect specific unit types, you can build a team that only contains the type you need. Here, we’ll be showing you some ideas for armored teams and dragon teams, which offer high HP and high Def, and are reliable in battle. Armored allies are great for strategies based on drawing in foes and defeating them with counterattacks. Skills that allow you to counter regardless of distance, skills that increase your Atk when countering, and other such skills are very useful to have in this setup. 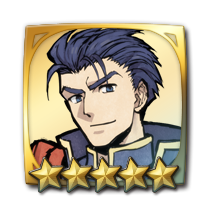 Hector has high Atk, paired with the outstanding Distant Counter and Goad Armor skills. Amelia has Armor March 3, which allows her and any adjacent armored allies to move an additional space, provided that she started the turn with at least one adjacent armored ally. Dragon teams have high HP and powerful breath attacks that are only mitigated by Res, making these teams strong counters against foes with high Def, such as armored foes. While dragon allies tend to have low Spd, you can use skills like Hone Dragons to cover this weakness. 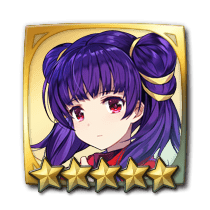 Myrrh is a flying type with the Hone Dragons skill, which can boost the Atk and Spd of dragon allies. 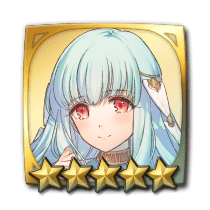 Not only can she use Dance to grant another action to her allies, but Ninian also has the powerful Fortify Dragons skill, which grants dragon allies Def/Res+6.